You are an amputee? You think about getting into cycling? But you just don‘t know how to start? Maybe you are even a bit fearful that as an amputee cycling is now off-limits for you? 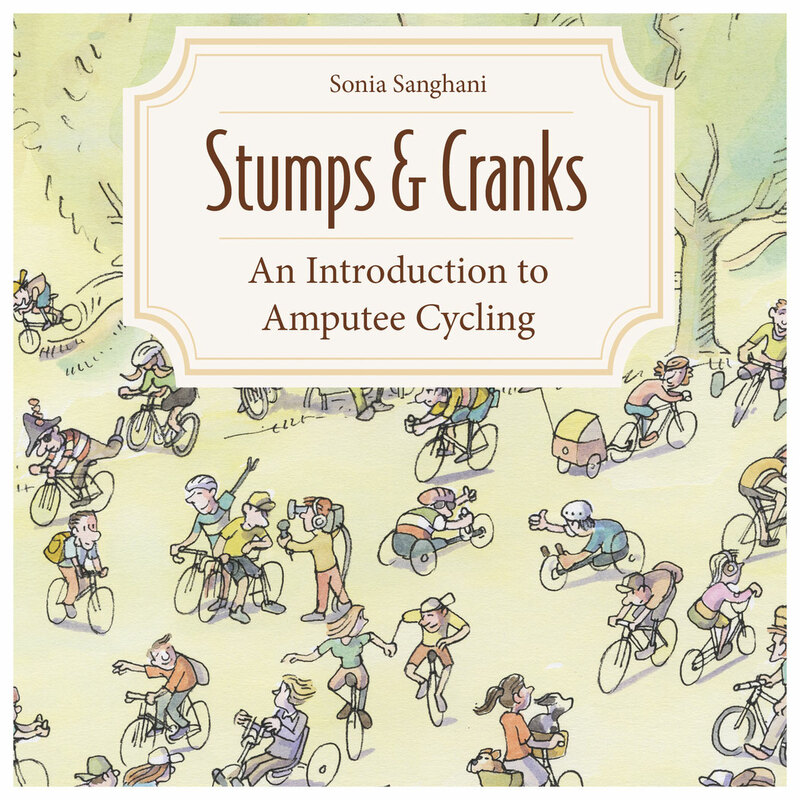 Well, then Sonia Sanghani‘s Stumps and Cranks - An Introduction to Amputee Cycling is just the right book for you. Summer Is Here! Let‘s Get Out The Bikes! Sonia is an amputee herself; one that took over a decade to start riding her bike again. Her initial interest to read up on other amputees who cycle and to learn from their experiences turned into a full-blown project that resulted in a very comprehensive guide book for amputees: Stumps and Cranks - An Introduction to Amputee Cycling. The ebook version I reviewed has 380 pages and contributions from dozens of people. That is 380 pages packed with advice. The book aims at any amputee who considers cycling. So no matter if you are a lower limb or an upper limb amputee. No matter if you have been an avid cyclist before losing your limb or if you have never been anywhere near a bike until now. No matter if you just want to use your bike every once in a while to ride around the bloc or think about becoming a Paralympian or criss-crossing the globe. This book will provide you with loads of information on a wide variety of topics. Generally speaking, I really like the idea of having a book on the market that encourages amputees to try cycling. Full stop. That in itself it great. But the book is more than just an encouragement. It gives amputees all the information they need to actually get started. I know that some amputees feel confident enough to just give it a go. They take a bike, hop on and learn by try and error. That is great. But many are much more hesitant, maybe even afraid. A variety of reasons stops them from taking the first step. And I think the book is an incredible resource especially for this second group. Its step-by-step approach breaks the individual challenges down. That will lower the threshold to get started. That brings me to my second point. Aiming to be of use for a wide variety of people from all walks of life, with different prior experiences and various abilities, the book gives in-dept information about all topics related to cycling. I found the following three areas especially useful: First and foremost the overview of different bikes that are available and what are their pros and cons in terms of being suited for amputees. Then the chapter about the development of prosthetic limbs, how they might have to be adapted for riding a bike and what special components are available to make cycling easier and/or safer. And finally the hands-on advice on the very process of riding a bike. The getting on and off your bike, indicating when you want to turn, changing gears etc. That might sounds pretty basic. But when you are an amputee, any one of these issues - let alone a combination of them - can be a major challenge. Reading through the tips and tricks really helps and takes away people‘s initial fears. Last but not least, I love the book‘s personnel touch. 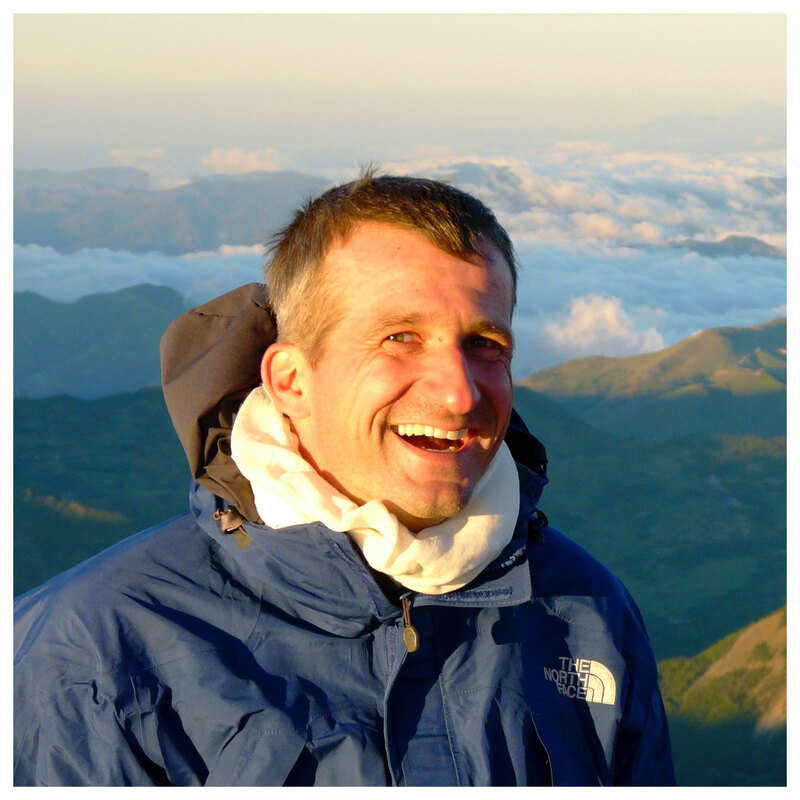 Each chapter is not only offering facts and information, but is complemented by anecdotes and little stories about other amputee cyclists from all around the world. Some of the people featured are Paralympians, others use their bike only once in a blue moon for a short distance. Some ride high-tech custom-made bikes while others are perfectly happy with their old sturdy steel-frame work horse. No matter what kind of cyclist you are - or want to become - the stories are great infotainment. They are fun to read. And they are packed with little gems of advice, offering news insides and loads of encouragement to try out something new. In my eyes, this sharing of experiences, this peer learning is one of the strongest points of the book. Other chapters in the bool look at equipment and basic bike maintenance, nutrition and injuries, trip planning and moving from amateur to pro. Each chapter has a ,further reading‘ list, additional fun facts on the topic and ideas for things to try out right away. Stumps and Cranks is a great book. And I think Sonia has done a tremendous job researching the facts, compiling the material, reaching out to dozens of other amputees and collecting/writing up their stories. The book is full of actionable advice and practical ideas for any amputee who wants to start cycling. There is no more excuse not to start right now. Note: I was given a free review copy by the author.